There is a lot of difference between a healthy tan and the excessive tan resulting from repetitive trips out in the sun. The former gives you a Greek goddess glow, while the latter makes your skin dull, dark, and unappealing. 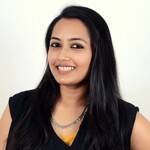 This article will help you to get rid of the unwanted tan from your skin with home remedies. Read on! There are a lot of products available in the market that promise to remove tan in the most natural and effective way. The truth is, these products, no matter what they claim, are loaded with chemicals. 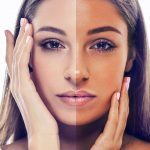 For someone who is already tanned, this can be a cause of concern as certain chemicals or ingredients can cause allergies on the skin that has been exposed too much to the sun. 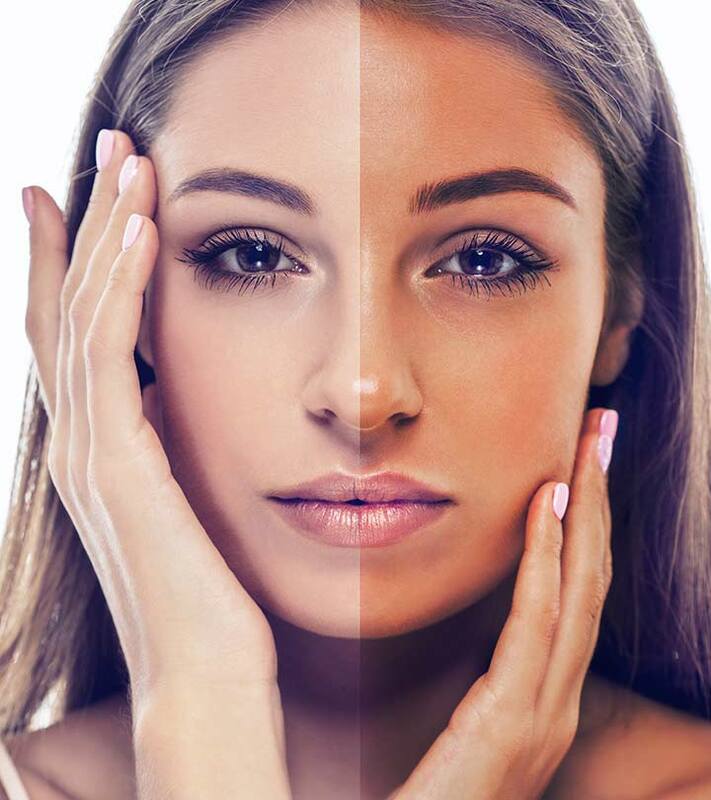 One of the best ways to take care of this situation is by trying out some easy and homemade face packs to remove tan. These use natural ingredients and are very effective in removing the tan from your face. What’s more, these will not cause any side effects and will enhance your skin’s health with their added nutrients and antioxidants. Here are a few simple homemade face packs for tanned skin you can try. Make a smooth paste with the milk and citrus peel powder of your choice. Add more peel powder if the mixture is too runny. Once ready, apply the paste on your face. Let it dry for 10-15 minutes and then wash it off with water. If you are using dried lemon peel, after adding the milk, you can grate it in a food mixer. Use this face pack twice or thrice a week. Milk moisturizes the skin, making it supple and soft. It also exfoliates the darkened layer of skin cells as it contains lactic acid, a natural exfoliant (1, 2). The lemon and orange peels contain vitamin C and citric acid that help the pack to lighten the skin tone and reduce tanning (3, 4). Do apply a small amount of the pack on a small area to check whether the lemon or orange peel powder is too harsh for your skin. Do not apply it directly on irritated skin as it may aggravate the condition. Take the lemon juice in a bowl. Add sugar and glycerin to it. Mix well. Apply this pack as a scrub. Use a gentle upward massaging motion as you rub your skin. Repeat the scrubbing for 3-4 minutes. 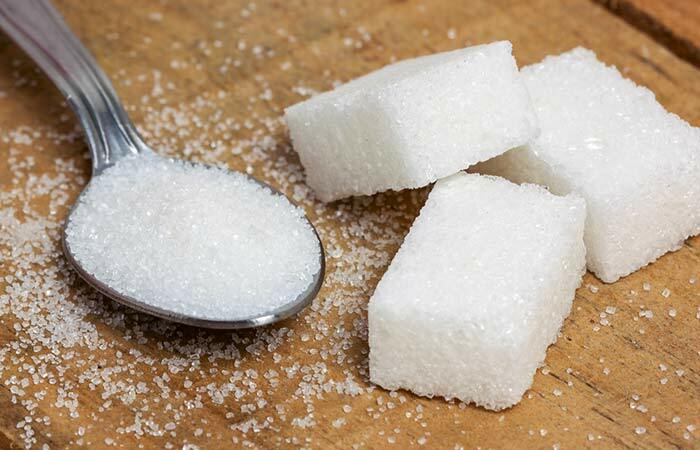 After scrubbing with the sugar granules, rinse off the pack with water. Use this face scrub twice a week. This face pack (and scrub) helps you to get rid of tan and gently moisturizes your skin with glycerin (5). Lemon is a great bleaching agent, and it helps in making the skin tone lighter (6). The sugar granules help to exfoliate the dead layer of skin cells that have darkened and formed the layer of tan on your skin. Scrubbing also increases circulation, and this will help to bring back the natural glow of your skin (7). 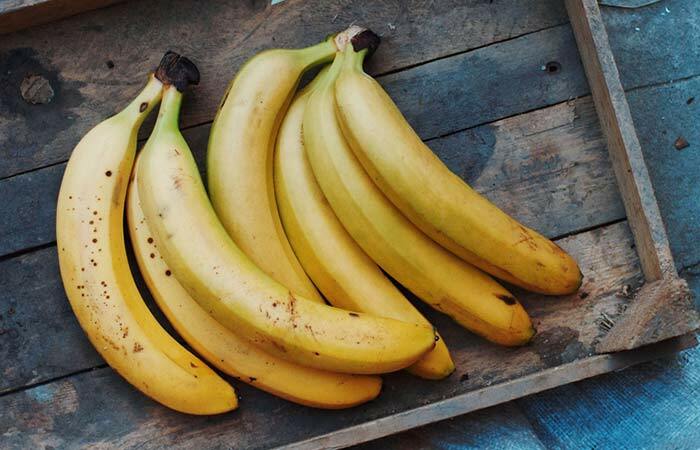 Mash the banana properly so that no lumps remain. Add the milk and lemon juice to this and mix well. Apply this pack on the affected area and let it sit for about 15 minutes. You can apply this face pack for tanned skin twice a week. Banana is very moisturizing for the skin. It soothes the skin while nourishing it with healthy vitamins and minerals. It also lends a wonderful natural glow to your skin (8). These nutrients are essential for the skin to restore its natural tone and glow. The other ingredients in this face pack lighten the tan. Mix the ingredients to get a smooth paste. Apply this paste on your face and keep it on until it dries (approximately 10-12 minutes). 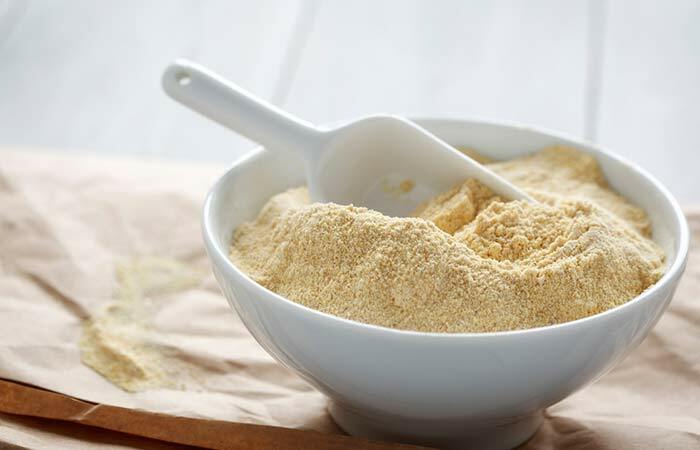 Besan absorbs the impurities from the skin and cleans it. 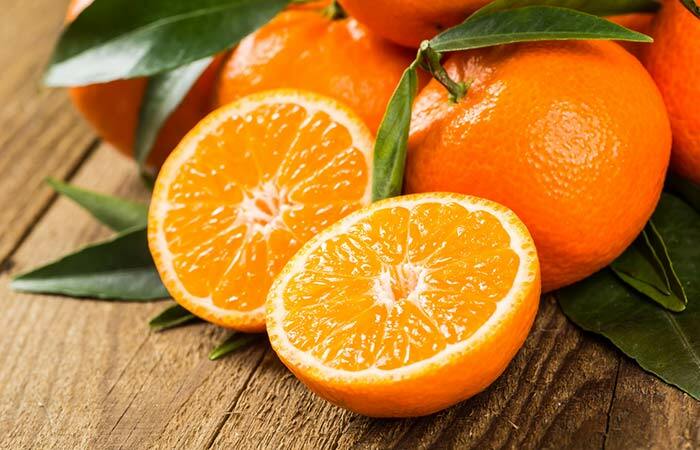 It contains antioxidants that rejuvenate the skin (9, 10). Turmeric helps to even out the skin tone and remove the tan (11). Mix the two and apply the pack as a thick layer on the skin. Leave it on for 15 minutes and then wash it off with tepid water. 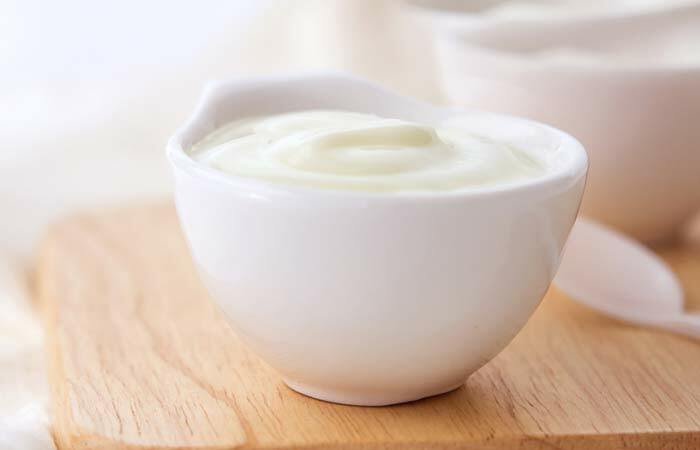 Curd or yogurt contains naturally produced enzymes and acids that remove the tan and exfoliate the skin. It cleanses the skin and also reduces the redness that may have occured due to sun exposure (12). In this face pack, honey supplies the antioxidants that reverse the skin damage caused by the UV rays (13). Mix all the ingredients with enough rose water to get a paste of medium consistency. Apply this paste on your face and wait for 15 minutes before washing it off. You can also use coconut water instead of tomato juice in this face pack. Apply this once or twice a week. 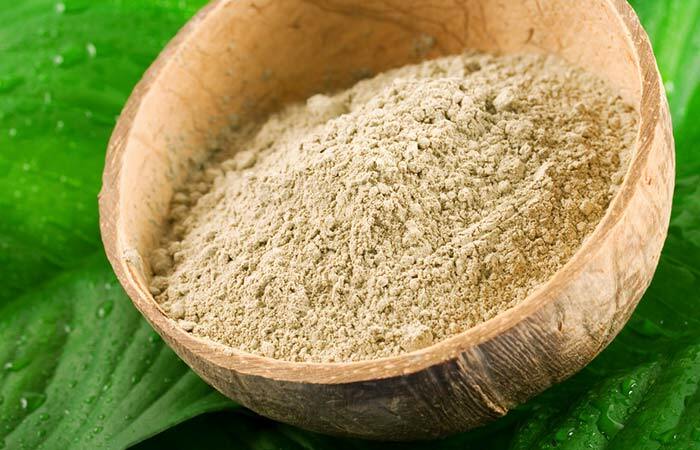 Multani mitti is a cosmetic clay that absorbs all impurities from your skin pores and enhances capillary circulation to the skin. It also removes all the dead skin cells and tan on your skin (14, 15). Tomato juice lightens the skin by interrupting the melanin formation process (16). Cut the cucumber and mash it to get the pulp. Add lemon juice to this pulp, mix well, and apply on the tanned skin. Use this every day until the tan fades away. 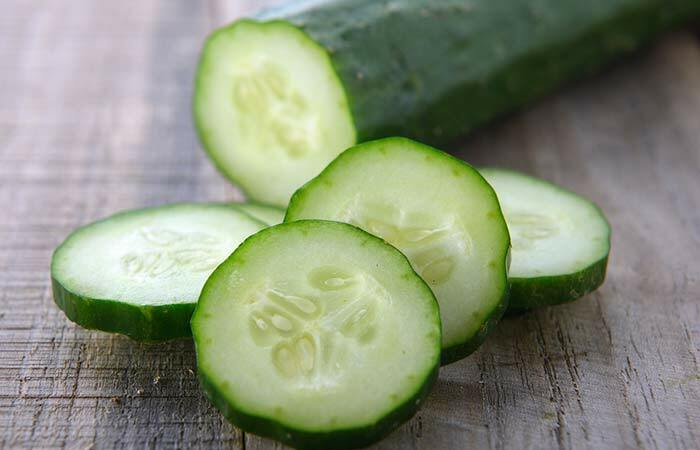 Cucumber hydrates the skin and also exerts skin bleaching properties along with the lemon juice (17, 18). Doing this as recommended will fade away your tan in just a few days. These homemade face packs for tanned skin may take a while to show results, but these results will be long-lasting. Say goodbye to skin tan and get brighter, glowing skin with these face packs. Do let us know which anti tan pack you tried and how it worked for you by commenting below.